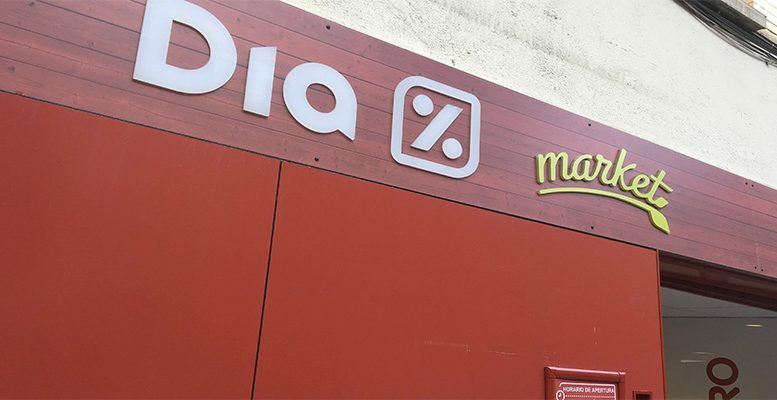 The undoubted protagonist of the week in the Spanish stock market has been the supermarket chain DIA, which received a takeover bid on Tuesday and presented its 2018 results on Friday. These have confirmed the annus horribilis suffered in 2018, a year which saw sales fall 11% and Ebitda 48%, which has led it to register losses of over 35o million euros compared to profits of 101,2 million euros the year before. The stock market reaction to these results has been moderate, given that this depends exclusively on Letterone’s offer of 0.67 euros a share, or the bidding war that some investors foresee. Apart from shareholder moves to take control of the company, the task of the current directors is to plan the future of the company, and this is what they are doing. They have confirmed that the plan remains to carry out an increase in capital of 500 million euros which will serve to reduce the debt and invest in the new business model. Their strategic plan contains various actions, beginning with the dismissal of more than 2,000 employees. Letterone has finally announced a voluntary offer for all of the shares in Supermarkets DIA (DIA) which it does not currently control (70.999% of the social capital) at 0.67 euros/share, which represents a premium of 56% over the share price at the close of the market yesterday. As a voluntary offer it is not covered by the obligation to be launched at an equitable price. The effectiveness of the offer is conditioned by a level of acceptance of at least 50% of the shares at which it is directed, which would allow Letterone to reach a minimum holding of 64.5%. The announcement also suggest that Letterone intends to carry out the forced purchase procedure which would allow the delisting of the shares. It considers that the company needs the implementation of a five year integral transformation plan and that, to ensure its long term viability, it intends to promote a 500 million euro increase in capital, which would have to be submitted to a general assembly of shareholders at a subscription price not inferior to 0.10 euros/share with the right to preferential subscription. In this way, Letterone would commit itself to subscribe proportionately and to insure the rest or secure the insurance of a bank. The execution of the increase of capital is conditional on the success of the takeover bid and reaching an agreement with the creditor banks acceptable to Letterone. The application for the offer, as well as the explanatory brochure and the rest of the necessary documentation, will be presented to the stock market regulator within the month following the publication of this announcement, and is expected in the first part of this period. DIA’s shares began the day with rises of up to 60% after the offer was known. Analysts at Renta 4 argue that the positive reaction in the share price of the supermarkets will be maintained, getting close to the price of the bid. For their part, analysts at Bankinter recommend accepting the offer “there is no visibility about the new business model of DIA, once the previous model has resulted insufficient to ride out the current competitive environment and has led the group to a loss of market share, the erosion of margins and we estimate losses in 2018”.